"I don't hide my HAE. I no longer try to live up to the "tough guy" standard." Watch these helpful videos to hear stories from people with hereditary angioedema (HAE) and learn from their personal experiences. Liz is a wife, mother, sister and daughter with HAE. Before her diagnosis, she spent years searching for something to explain her mysterious symptoms. 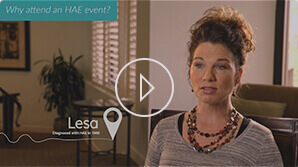 Lesa was diagnosed with HAE along with 10 other members of her family. See her story and learn from her personal experiences. 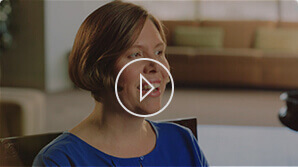 Hear why Shire events are important to Lesa. Liz and her older sister both have HAE. Hear how their shared symptoms shaped their lives and strengthened their bond.